Last August 19, 2014 in Spain, the Euskadi team defeats Gilas Pilipinas in their tune-up game. The Team Pilipinas loss by 9 points 75-66. The Gilas team loss 4 times streak against the team France, Ukraine, Australia and now by the Euskadi team. Blatche lead the Gilas team with his 19 points and 7 rebounds, while Marc Pingris added 10 points and 9 rebounds, Alapag helped with his 9 points, 3 reobunds and two assist. Also Jason Castro suffered a ankle injury during the game, he reportedly to undergo a scan to determine the if he has Achilles tendon injury. 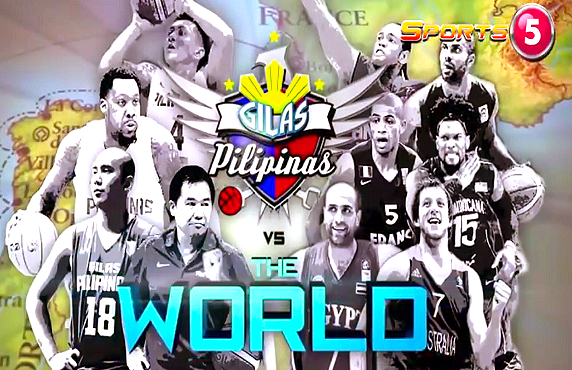 Now after a 4 losing streak, what Gilas Pilipinas can do now? The Philippine fans still believe that the Philippine team will have a good performance on their upcoming games. Their next game is on August 21 vs Angola team who ranked no. 15 in FIBA.